President Obama promised to work to equalize crack and powder cocaine penalties. He said he would urge Congress to eliminate the five year mandatory minimum penalty for simple possession of 5 grams or more of crack and eliminate the 100:1 disparate ratio of penalties for crack vs. powder cocaine. The result: A compromise. The 100:1 ratio and mandatory minimum sentences will not be eliminated, but reduced to 20:1. In other words, no equalization. 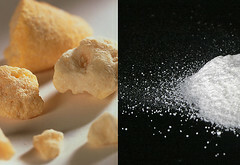 Crack cocaine will continue to carry a penalty 20 times more severe than powder cocaine. Is it an improvement? Yes. Is it good enough? No.